I’ll never forget the place I found this name: the Museo del Prado in Madrid, Spain. 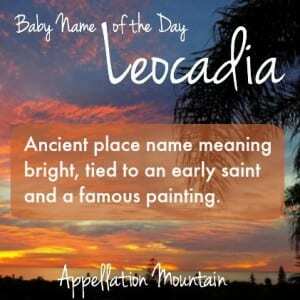 Our Baby Name of the Day is Leocadia. The Greek leukos means bright, clear, white. In Greek myth, Leucadius was the son of Icarius of Sparta. The island of Lefkada in Greece was originally known as Leucas, possibly after Leucadius. Because a temple to Apollo once stood there, the Greek god was sometimes known as Apollo Leucatas. You can still visit its ruins today. 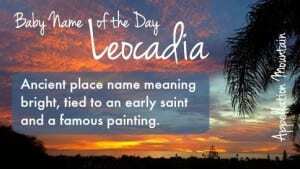 That puts Leocadia in the same category as Lawrence and Delphine, given names derived from ancient places. For a more modern twist, there’s a beach community called Leucadia in southern California. Saint Leocadia was martyred during the Diocletian persecutions in 304. She was a slave in the ancient city of Toledo who refused to renounce her faith. In prison, she prayed to leave such a cruel world, and miraculously died before she was tortured. A church was established in Toledo with her name by the 400s. Her relics travelled from Spain to Belgium and Rome before being returned to the city in 1587. Doubtless the saint is the reason the name remains in use. Eighteenth century Spanish painter Francisco Goya served as court painter to King Charles IV of Spain. Goya outlived his wife, and then suffered from a lengthy illness, lost his hearing, and eventually, his position as court painter, too. He retreated to the countryside with his much younger housekeeper, Leocadia Weiss. She was his model, and may have been his lover. The work to the right is part of a series known as Goya’s Black Paintings. 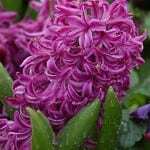 It’s usually called La Lecoadia, or sometimes just Una Manola – The Seductress. The artist probably never intended the work to be displayed – it was painted directly on the walls of his house. A tiny town called Santa Leocadia sits on the border between Spain and Portugal, with a church dedicated to the saint dating to at least 1264. The name has been heard in Brazil, too. There’s a street by the name in Rio de Janeiro. Miguel Cervantes used the name for a character in a 1613 novella. In 1800, the Spanish frigate Santa Leocadia was wrecked off the coast of Ecuador. Leocadie Gascoin was born in France in 1818. She founded the Sisters Marianites of Holy Cross and sent missionaries to the US and Canada. Spanish painter Federico de Madrazo immortalized the lovely noblewoman Leocadia Zamora in the 1800s. Actress Leocadia Alba was born in Madrid in 1865. The saint has a following in Poland, too, where her name is spelled Leokadia. A character by the name was included in Kurt Weill’s opera, The Rise and Fall of the City of Mahagonny, first performed in 1930 in Leipzig. French playwright Jean Anouilh used the name for an opera singer in a 1940 play. 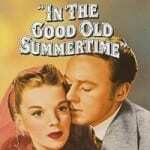 In US, the name was given to a few dozen girls in the 1910s and 20s. That’s rare, but not unknown. It matches up with the peak year for Leocadie in France – 1931. I’ve found women by the name who answered to Lee, Lola, and Lily. Other potential nicknames. include Cady, but Leo, Leda, and Dia. In the US, the name was last given to five girls back in 1950. The name may be rare, but it works in Spanish as well as Isabella or Sophia, has an on-trend Leo- beginning and -ia ending. Leocadie would fit in with all of those three-syllable, ends-in-y or -ie names for girls. What do you think of Leocadia? Would it wear well in 2015? Three syllables? How is it said then, Loo-ca-dyah? Lay-ca-dya? I was thinking Lay-oh-ca-di-a.